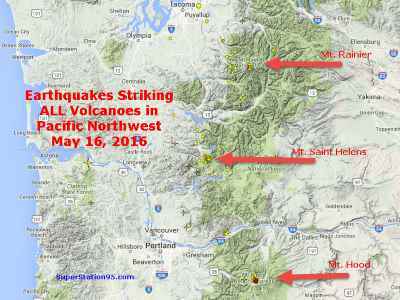 Last week, according to the Pacific Northwest Seismic Network (PNSN), the world was informed (via 19,000 stories) that Mt. Saint Helens was "recharging." 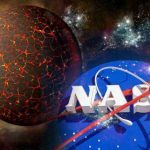 While scientists were explicitly clear there is NO SIGN OF IMMINENT ERUPTION, they pointed out that there had been more than 130 earthquakes, between 1.2 and 4 miles deep, in the area from March 14 thru May 2. 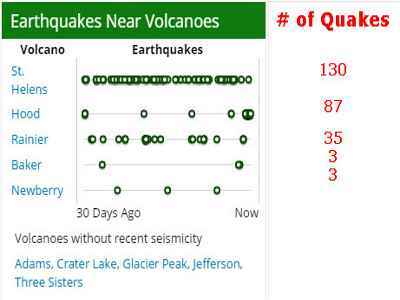 Fast forward about two weeks to today, May 16, and we now find the number of earthquakes is not only increasing, there are new earthquakes taking place at TWO ADDITIONAL VOLCANOES, Mt. Hood and Mt. Rainier! The images below tell the story. First, a look at where these volcanoes are located. RELATED : Mt. 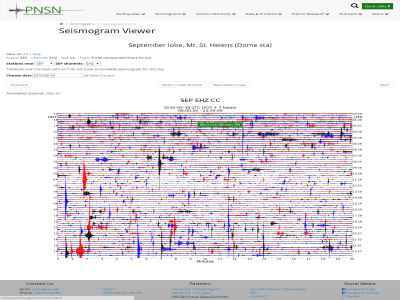 St. Helens Volcano Rumbles with 130 Earthquakes, Growing Magma Bulges, New Steam Emissions; Two Quakes Strike Cascadia Subduction Zone . 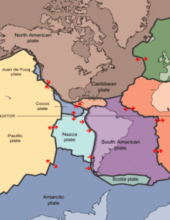 . . Scientists Sound Alarm over San Andreas Fault! 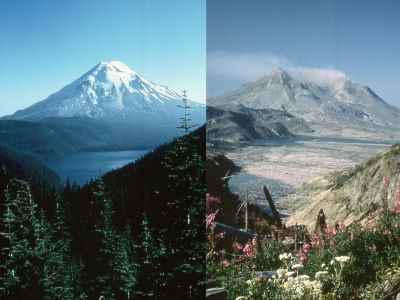 Notice the beautiful forest for miles and the magnificent lake in the left photo; which wasall totally destroyed after the eruption in the right photo. This is the mind-boggling power of one of these volcanoes; it can destroy everything in its path for miles. Notice where the earthquakes are taking place? Right smack in the middle of the mouth of the volcano! The "Caldera!" Looks like there's "a whole lot a shakin' goin' on!" 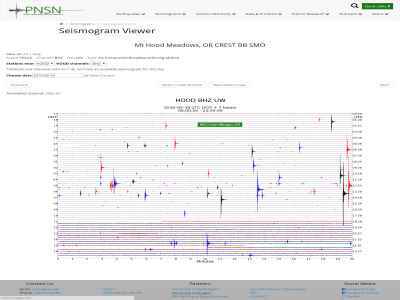 We now see earthquake activity in the Caldera of Mt. Rainier to the North! As with Mt. Saint Helens, these earthquakes at Mt. 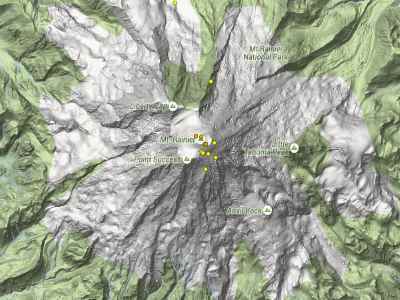 Rainier are taking place high-up in the volcano itself, near the Caldera. That's a lot of earthquakes for one day! 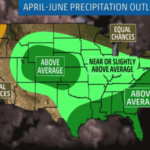 Is the next major volcanic eruption in the United States just around the corner? Mount St. Helens and the Yellowstone supervolcano get most of the attention, but many geologists are actually far more concerned about the potential danger that Mt. Rainier poses. 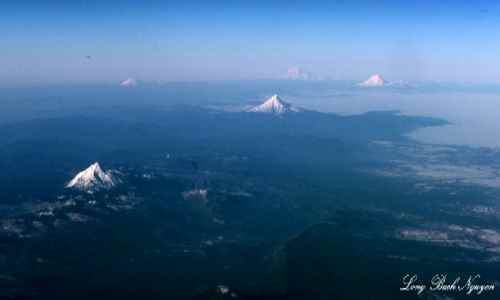 It has been called a “time bomb“, “the most dangerous mountain in the United States” and “one of the most dangerous volcanoes in the world” due to its proximity to major population centers. 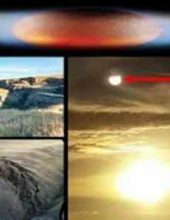 Scientists tell us that it is a matter of WHEN, not if, the next eruption will happen, and even a minor eruption could result in tens of thousands of Americans being literally buried alive in super-heated mud. 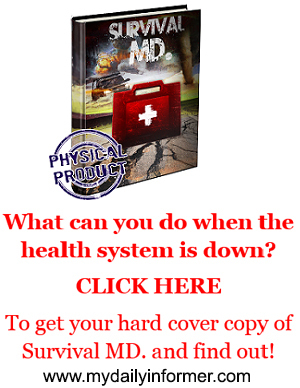 So what would a full-blown eruption do? It would potentially cause death and destruction on a scale that is almost unimaginable. If Mt. Rainier were to erupt as powerfully as Mount St. Helensdid in its May 18, 1980, eruption, the effect would be cumulatively greater, because of the far more massive amounts of glacial ice locked on the volcano compared to Mount St. Helens and the vastly more heavily populated areas surrounding Rainier.Lahars from Rainier pose the most risk to life and property, as many communities lie atop older lahar deposits. According to theUnited States Geological Survey (USGS), about 150,000 people live on top of old lahar deposits of Rainier. Not only is there much ice atop the volcano, the volcano is also slowly being weakened by hydrothermal activity. According to Geoff Clayton, a geologist with a Washington State Geology firm, RH2 Engineering, a repeat of the Osceola mudflow would destroy Enumclaw,Orting,Kent, Auburn, Puyallup, Sumner and all of Renton. Such a mudflow might also reach down the Duwamishestuary and destroy parts of downtown Seattle, and causetsunamis in Puget Sound and Lake Washington. Rainier is also capable of producing pyroclastic flows and expelling lava. Heat from an eruption will melt ice and glaciers on the mountain and turn them into mudslides moving up to 50 mph, with the potential to be more than 400 feet deep in nearby valleys. Rainier has had a history of lahars, ranging from more than 5,600 years ago to only 500 years ago. The largest of these debris flows – the Osceola Mudflow – occurred 5,600 years ago, covered 212 square miles of land from Rainier to Kent and was hundreds of feet deep. 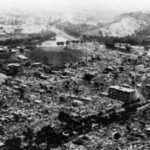 The numerous towns and cities that occupy the surrounding valley would all be at risk for not only severe destruction, but complete annihilation. Residents of cities like Orting, Sumner, Buckley, and Enumclaw are estimated to have no more than 30 minutes before the lahar, speeding down from the many rivers that flow from Mount Rainier, buries their homes and businesses beneath as much as 30 feet of mud and debris. Even the larger cities like Auburn, Puyallup, and Tacoma itself are not safe.Auburn and Puyallup, with nearly 80,000 residents between them, would be covered in 20 feet of mud in less than an hour, and Tacoma, at almost 200,000, is estimated to be hit with nearly 10 feet from the lahar. It is hard to even come up with the words to describe how horrific this would be. 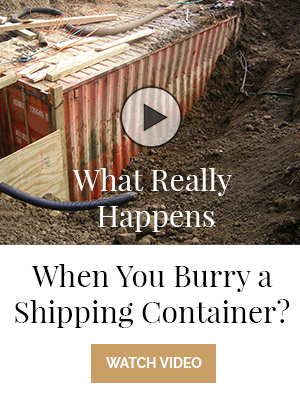 It would literally be a “river of death” hundreds of feet high burying everything in its path in super-heated mud. Once a lahar is within sight, there is no possibility of outrunning it. The only hope would be to get to high ground in time. The nature of this impending and INEVITABLE tsunami is, this isn’t just water flowing, this is giant boulders, whole houses, a million huge trees, cars, ships, people, cows, we saw this in Japan recently, all smashing along relentlessly and not ending in a minute or an hour, but going on and on and on, piling into narrow bays and pinned in by high hillsides…this makes the tsunamis WORSE, not safer! The Puget Sound bay is not that deep. So the resulting multiple high flood events pouring into several parts of the Puget Sound will cause a huge wave to jump ahead of the flood and the bulky mess of debris pouring in will displace more water and it will flood huge areas that are at sea level and even, like in Japan, make huge waves smashing up hillsides, wiping out everything, tearing down trees, rocks and buildings. 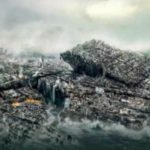 Once this wave of destruction hits, no one will be able to save others because it will go on and on and on for several hours at least. 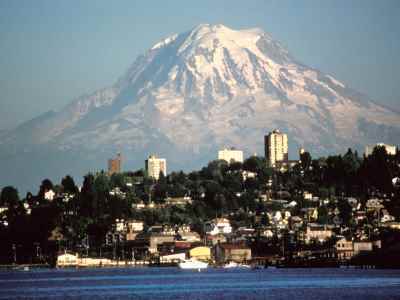 Those that have studied Mount Rainier tell us that there is evidence that the mountain has produced at least 60 lahars in the past. 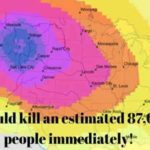 Chances are one in seven – worse than the odds of having a house fire – that a moderate lahar will happen in a person’s lifetime. Mount Rainier lies along the Ring of Fire, and right now volcanoes all along the Ring of Fire are waking up. To the south, just over the border into Oregon, Mt. Hood has stood silent for a long, long time. That silence has ended. This is an interesting (if not worrisome) situation. The quakes are all on the SOUTH side of Mt. Hood. Those of you who recall the famous Mt. Saint Helens eruption back in 1980, will remember that it was the entire SOUTH side of that volcano which blew off. Now, Mt. Hood is acting up . . . on its SOUTH side! Scientists have made it very clear that NONE of these volcanoes is showing any signs off imminent eruption. But those on the west coast would be very well advised to keep a sharp eye and have an pre-planned evacuation route. If St. Helens erupts, we go this way. If Rainier erupts, we go that way. If Mt. Hood erupts, we go this other way.. 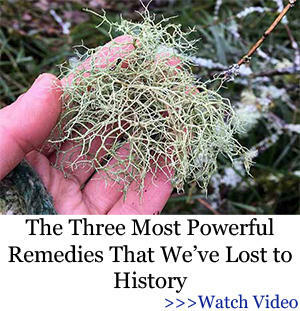 If, (God forbid) all three erupt, we go . . . . you get the idea. It is important to bear in mind that you are not alone in having plans to leave and much to your dire surprise, you may find all the highways jammed. So plan alternate routes. Have each of your cars equipped with a CB radio and magnet mount antenna so you can get on the spot traffic updates while you're on the road, and get instant info from other drivers. Make sure your cars and your home have N-95 or N-100 filter masks to protect your lungs from deadly volcanic ash. Volcanic ash is not really "ash" like a cigarette gives off; it is actually pulverized rock. If it gets in your moist lungs, it becomes mud. 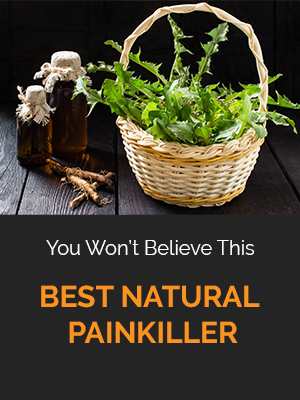 Your body cannot cleanse this and if you get too big a whiff, you literally drown on the mud in your lungs. So have filter masks for yourself and each member of your family. YOU MUST BE CLEAN-SHAVEN FOR THESE MASKS TO WORK. They will not be effective for men with stubble or beards! 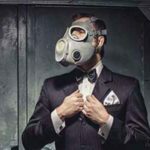 Have waterproof goggles, even cheap swimmer goggles, for yourself and each member of your family, You need these to keep volcanic ash out of your eyes. Again, volcanic ash is actually pulverized rock which, if it gets in your eyes, will scratch your eye lenses. Volcanic ash will clog car air-intake filters and stall your vehicle. Have a spare air filter or two IN YOUR TRUNK to make certain you can change to a clean filter if your car stalls while you're evacuating. A clean filter will get you quite a few more miles farther away. Have "Go bags" with some change of clothes, medicine(s) you may need to survive and some food/water to take along the way. Keep your car gas tank at least HALF FULL at all times; there won't be any time at all for you to stop for fuel if one of these volcanoes erupts. Your very life may depend on these simple acts. Plan wisely. 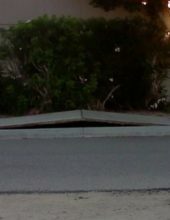 BREAKING: Sidewalks Starting to Buckle in California; Earthquake Fears Grow! 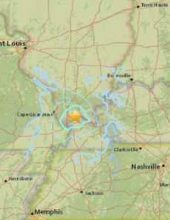 WARNINGS ISSUED after Sunday Earthquake in Kentucky — INTENSE FEAR of Massive “New Madrid Fault Zone” Quake Soon! Sorry, but it was the North side of Mt St Helen's that blew, destroying Spirit Lake in the process. 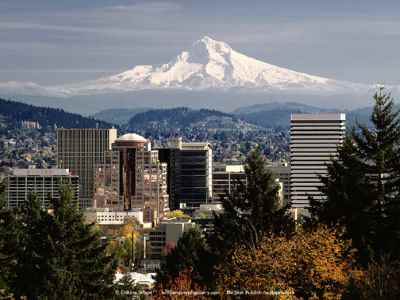 I live in Vancouver WA, which lies between the Mountain and Portland. I was 5 when it erupted. Thank you, Mr. Stillman. I appreciate you setting the record straight and quelling some of this doomsday talk. While these volcanoes are dangerous, quickly trying to raise worries is not the way to get the word out. Oops! You forgot the map that shows where the quakes are occuring on Mt. St. Helens. And neither Superstation95.com (the source of this article) or mydailyinformer.com ID the author of this article. Your first picture of the exact earth quack spots on Mount Saint Helens is a picture of Mount Hood not Saint Helens you need to corect it. "ALL the volcanoes"… well they forgot Mt. Adams and Mt. Baker. Mt. 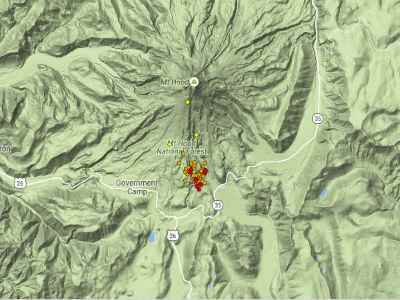 Adams is just east of Mount St. Helens. And Mt. Baker is east of Bellingham, Washington, about 80 miles north of Seattle. Portland is NOT in the destruction zone of St. Helens or Mt. Hood. With prevailing winds generally coming off the ocean to the west, most ash will flow North, Northeast, East, Southeast, even South. Only during certain times of the year, and that not so frequently does the wind come from the East. Portland will witness these spectaculars, but not suffer the ash clouds unless the winds happen to be blowing into the west. Mt. Rainier could effect areas close to Seattle. But generally, for the same reason, most ash will flow away from Seattle in general. There are times, though, that the winds could favour ash falling on Seattle, as back in 1980 some ash from St. Helens did find its way north to Seattle, due to the seasonal southerly winds. The eruption of these mountains will inevitably be a boon to farmers, as the ash will bring nutrients to the growing fields of Eastern Washington and Oregon, and by extension, even into the Midwestern fields. But I guess the caldron we should be most concerned with is Yellowstone, given what we've been learning over the last half century about volcanic activities around the world. 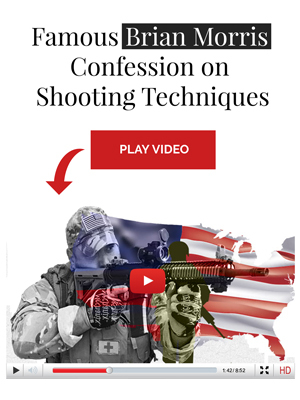 Nice click bait.. Nothin like sensationalism… And inaccurate info to boot…what.. A 12 year old write this?